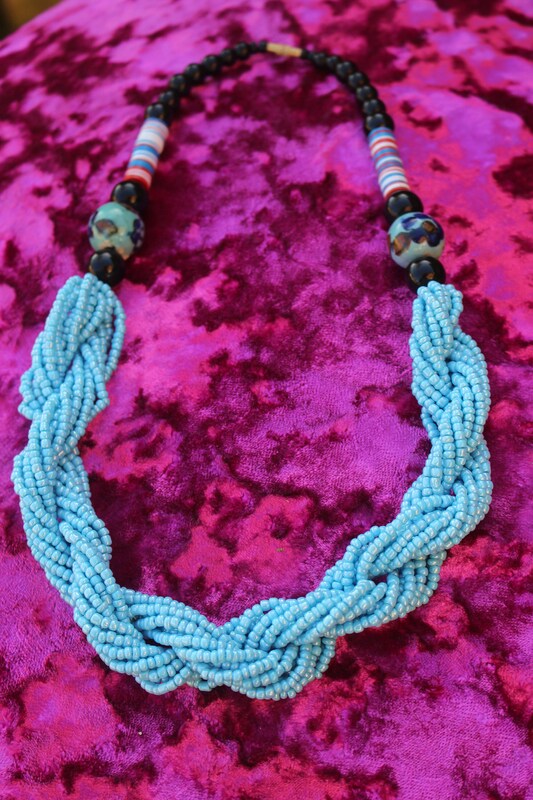 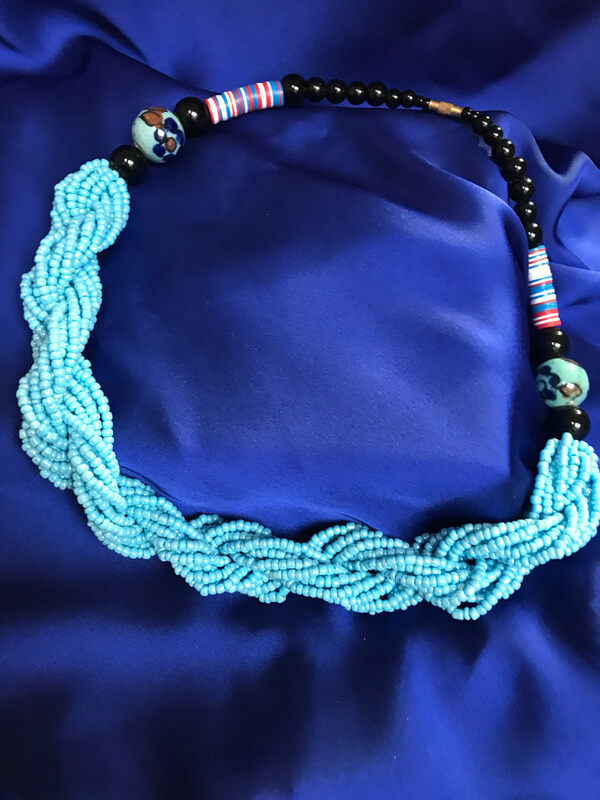 African Statement Necklace handmade in Gambia using glass beads and wooden Malawian trade beads which were traditionally used as tender. 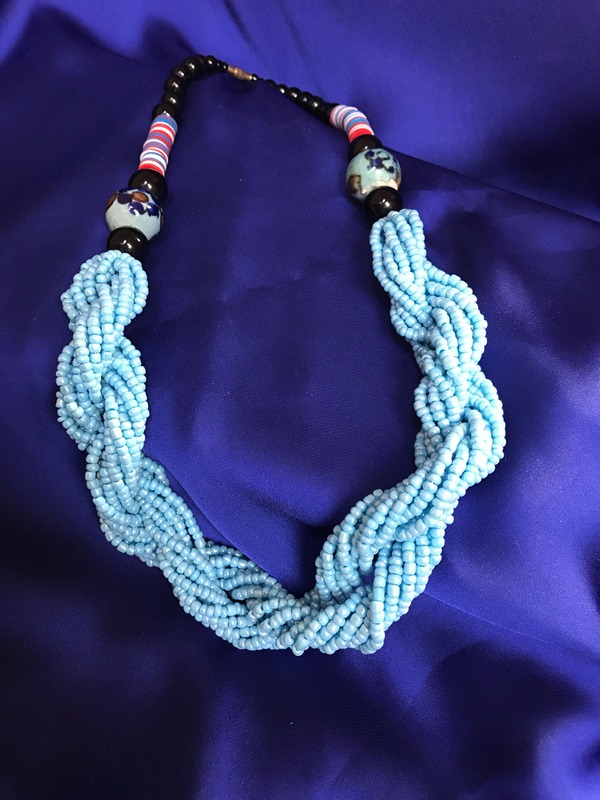 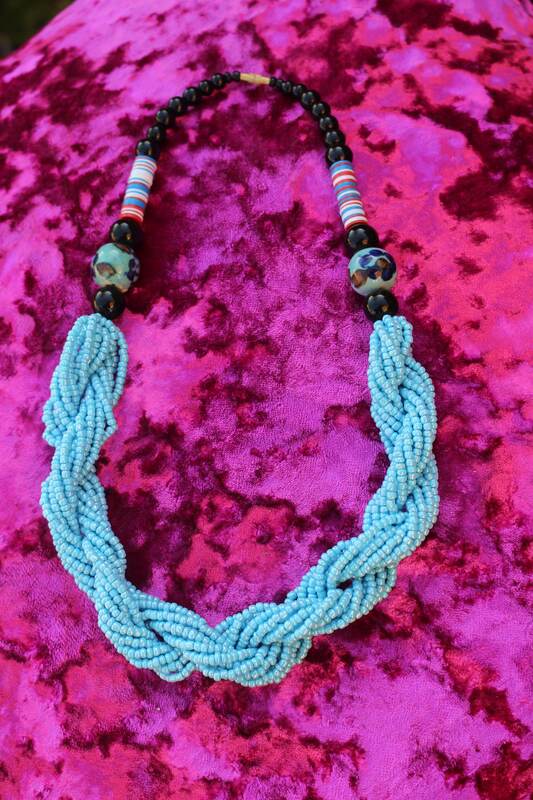 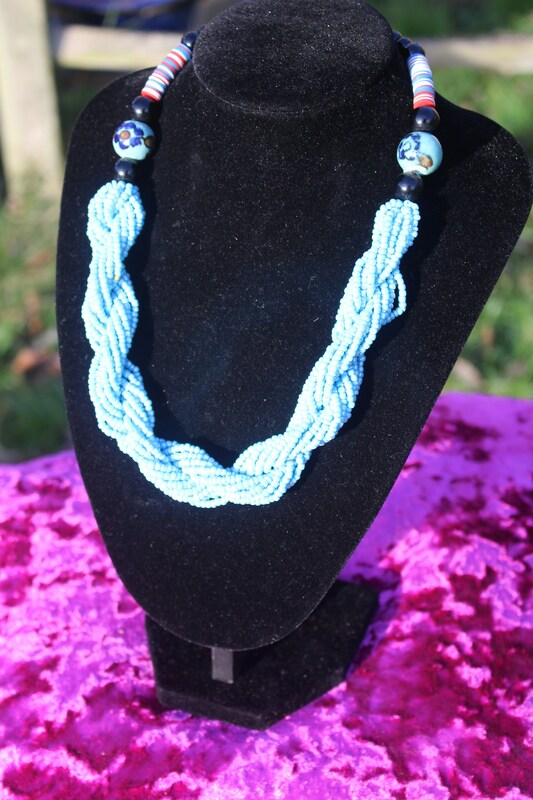 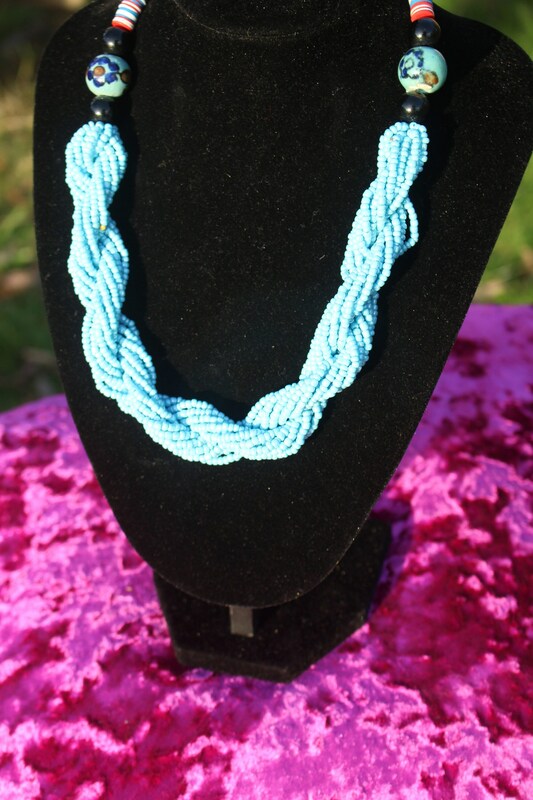 This and all our beadwork necklaces are one of a kind pieces made by Ousman Toure for Continent Clothing, designed in collaboration. 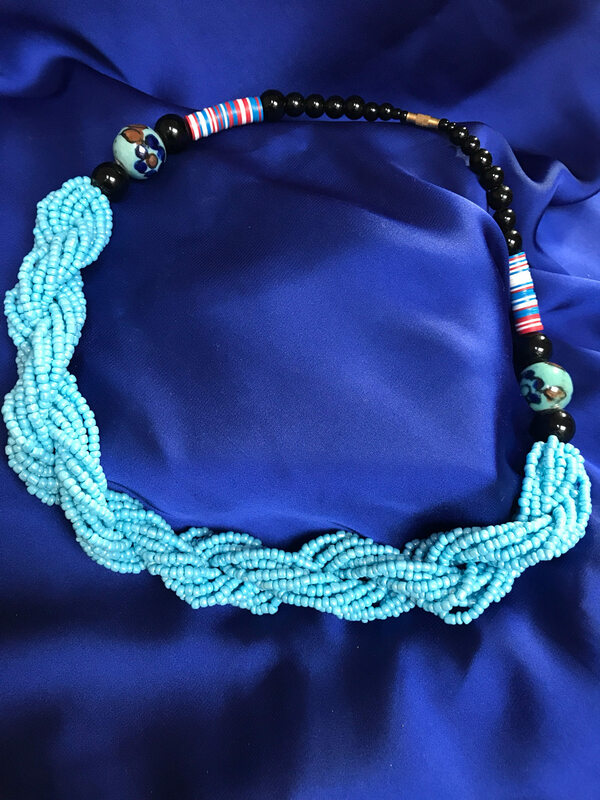 For this collection we have take inspiration from traditional Masai beadwork necklaces and added a West African Twist - in this piece the twist is traditional Malawian Trade bead pendants made from Wood.